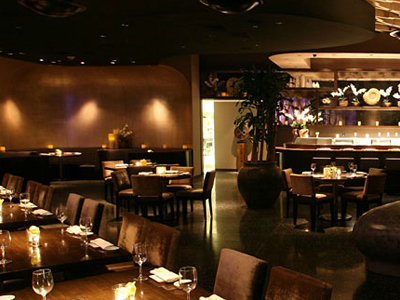 Treat yourself to the luxury of an exemplary dining experience at KOI in Planet Hollywood. The seductive harmony of Asian design elements, combined with an exotic Eastern aura and a genuine sense of Hollywood energy and style creates a meeting place for many celebrity favorites. Dine on a creative array of fresh, crisp sushi; savory specialty rolls; signature Japanese dishes and many crispy noodle variations with your favorite seafood, beef or chicken enhancement. A celebrity favorite in Vegas, this is a great place to see and be seen! Koi is well known for its signature dishes: crispy rice topped with spicy tuna, Kobe beef filet mignon and toban-yaki. Romantic atmosphere and great food. Great service. Great food. Super romantic especially if you get a view. Pricey but worth it if your willing to spend money for quality.